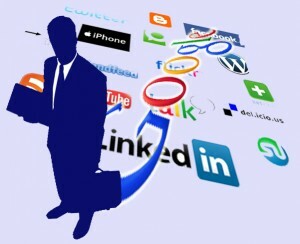 Corporate social media discrimination is a hot topic among recruiting professionals within social networks. Employee activities that happen after working hours and those non-working hours should be protected. In fact, 26 states offer protection of off-duty conduct. If businesses are considering off-duty conduct when making employment related decisions such as hiring, promoting, or terminating, they could find themselves in legal trouble. It is common today to see companies using social media as part of their recruiting and candidate selection process and in business every day. With more than 88 billion Google searches conducted monthly, chances are that your HR team, your recruiters, or your managers are searching the web for candidates. Companies need to be prepared for a new era of discrimination claims using social media. Question: Does your company use social media to research candidates? For more in-depth information review the recently released report detailing the outcome of investigations into 14 cases involving the use of social media and employers’ social and general media policies.